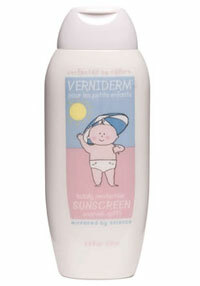 Designed to gently remove any dirt, impurities or pollutants from your baby’s skin. Our Ultra Gentle Cleanser is without compare in terms of affinity and gentleness to a baby’s skin. Non irritative formulation is Pediatrician Tested. Allergy Tested and Non comedogenic (will not clog pores). pH balanced formula is dye free, hypo allergenic and sensitivity tested. Mild enough for baby’s skin. Even great for Adults.